Asbestos exposure has been linked to the development of lung cancer. Studies show the same inflammatory process, which causes asbestosis can lead to cancer developing in the tissue of the lungs. Cigarette smoke often causes the effects of asbestos to be multiplied. 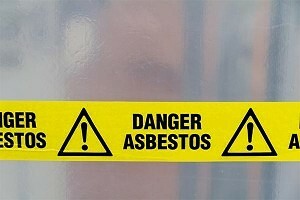 Many smokers and former smokers who were exposed to asbestos are at increased risk. If you or a loved one has suffered an injury due to asbestos exposure, we can help. Call Cellino & Barnes now at (800) 888-8888 or contact us. The symptoms of lung cancer are generally a cough, which may be accompanied by blood-tinged sputum later on. Symptoms such as a chronic cough, chest pain, weight loss, and persistent tiredness should be evaluated by a physician. Many treatment options are available, particularly if diagnosed early, such as surgery, chemotherapy and radiation treatment. Lung Cancer and Mesothelioma are very different. Lung Cancer arises within the lungs themselves and has individualized tumor masses. Mesothelioma, however, affects the tissues surrounding the lungs. Treatment of asbestosis and mesothelioma are different. Mesothelioma and asbestosis treatment options may be limited to easing pain and discomfort. Treatment for asbestosis focus on keeping the condition from progressing as well as easing the symptoms. Mesothelioma and lung cancer have treatment options available based on stage three cancer and can include surgery, radiation, and chemotherapy.